Sinai Visa regulations: Upon arrival at Sharm El Sheikh International Airport, you will be asked if you need a "Sinai only" visa or a "full Egypt" one. If you plan on staying in South Sinai (Sharm El Sheikh/Dahab/Nuweiba/Taba, St. Catherine Monastery then you only need the Sinai one. However if you plan on visiting Cairo, diving the S.S Thistlegorm or crossing any borders then you need the "Full Egypt" one at 25 USD/person. If you enter the country from Israel, special procedures apply. Do Bedouin Divers Dahab offer Airport Transfers? Yes we can offer you a transfer from Sharm el Sheikh Airport direct to Dahab. The transfer time takes around one hour. Please notify us in advance of your flight number, date and time of airline arrival at Sharm Airport. Do Bedouin Divers Dahab offer Accommodation? Yes we can offer you great accommodation at our Bedouin Lodge Hotel. At present no inoculations are required to travel to Egypt. Best advice when travelling to Egypt is to avoid eating raw greens and ice in your drinks. We would recommend to use local specific medication to deal with diarrhea / digestive. Pharmacies do sell most medication without a prescription. Sun protection is essential and due to the high air temperatures is very important to take care of sufficient fluid intake. A minimum of 3 ltr. of fluid (ideally water) per day is advisable. There are several medical facilities and Hospitals in Dahab. Should the need arise, diving related accidents or injuries are treated in a modern hospital facility, which has a full decompression chamber. The chamber doctors speak several languages and have specialist training in hyperbaric medicine. The diving season is year-round with visibility averaging 30m. Water temperatures range from 20°C in the winter months to 30°C in summer. From May to September, the air temperature ranges between 38°C and 45°C, and from October through to April between 23°C and 29°C. From December to February, the nights can be quite cold, but in the summer the nights are warm. July and August are the hottest months. In winter, there can often be a breeze. Divers can use a 3mm. shorty or 3mm. full suit during late spring, summer and early autumn. During winter we recommend a 5mm. full suit. The Maximum & Minimum sea temperatures. The graph below shows the range of monthly Dahab sea temperatures derived from many years of historical sea surface data. I want to learn to dive – do I have to be fit and healthy? Diving is a physical activity, and you will need to be in relatively good health. The PADI regulations require every diver to complete a medial questionnaire (click here) before diving. You complete this in our dive centre, but we recommend that you look at the document and check with your GP if you are in any doubt BEFORE you travel. If you answer ‘Yes’ to any of the questions, your GP will need to declare you as fit to dive. Being referred to a Doctor in Dahab is often costly and a time consuming affair! Should you have any physical disabilities, please let us know – diving is an inclusive sport, and we will strive to accommodate any physical disability, but we will need as much notice as possible. What about equipment – Can I hire it from Bedouin Divers? 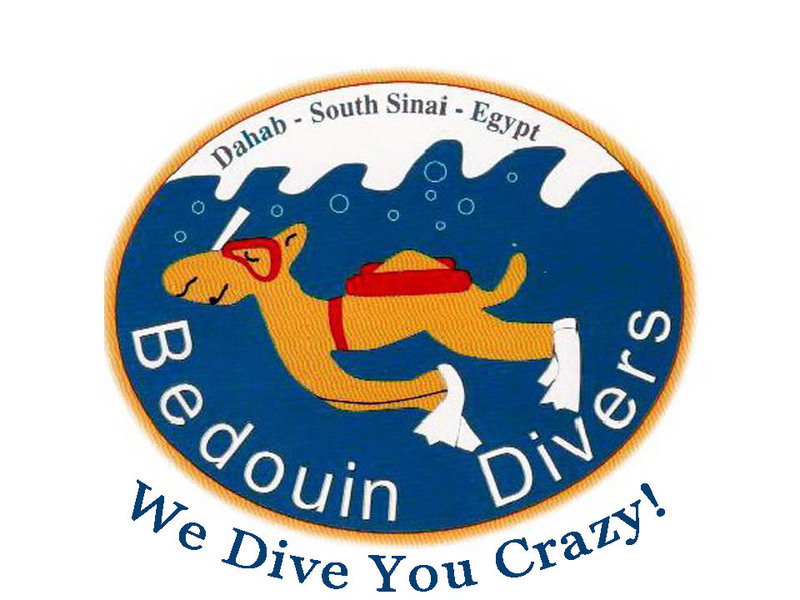 Here at Bedouin Divers Dahab we pride ourselves on the quality of our dive equipment. All our dive equipment is regularly serviced so you can rest asured that safety is our top priority. We offer all our equipment for hire, anything from a full outfit to a mask. If I learn to dive in Dahab, can I dive at home as well? Not at all - in this case you have the option of closing your eyes during mask removal (one of the core exercises of the course), or not wearing your contact lenses at all, in which case you could choose an optically corrected mask. Plenty of divers dive with contact lenses with no additional problems. I don't want to spend my whole holiday learning to dive. Can I shorten the course times? Yes – through various routes. The typical Open Water Diver course is completed over 4 days (approx. 6 hours per day) and comprises pool sessions, theory sessions, and of course open water sessions. We can assist you in shortening your course time in Dahab by offering an E-Learning route, or a Referral course. The E-Learning route enables you to conduct all of the theory elements in your own country before arriving in Dahab, thus leaving just the diving in the sun (3 days). Alternatively, the Referral route enables you to complete the theory and pool sessions in your own country before departing, leaving you with just the Open Water dives (done in 2 days) in Dahab before graduation.